These handcrafted wristlet key fobs are a practical, stylish, fun way to carry your keys. Jude Harbor key fobs make wonderful wedding favors, teachers gifts, and party favors. Tossing in a little preppy flair only makes them better! 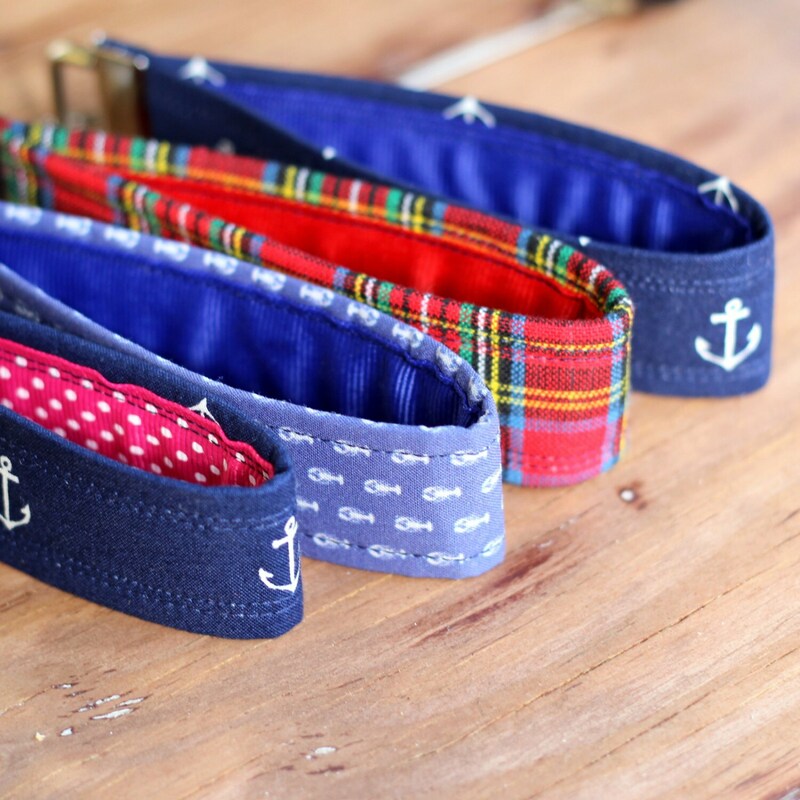 The nautical anchor wristlet comes with your choice of vibrant feminine pink polka dot lining or coordinating blue lining, perfect for a more neutral or masculine look. The blue and white lobster wristlet is lined with blue. The red tartan plaid wristlet is lined with red. I absolutely love this wristlet key chain! Really high quality and much sturdier than the one I had before this. Also really cute!